It doesn’t surprise me that we’re part of the first ever Global Charity Survey. With over 150,000 charity organizations in South Africa, it is clear to see why we are known as a warm-hearted nation. With so many non-profits doing their part to elevate their various causes, it is the perfect time to dig deeper and investigate our unique stance on philanthropy. A new Global Charity Survey put together by Non-profit Tech For Good is hoping to provide insight into our budding non-profit sector through the 2018 Global Trends in Giving Survey. A report which will be the first of its kind. This Global Charity Survey is available in five languages; Arabic, English, French, Portuguese and Spanish, aims to crowdsource the largest global survey of individual donors ever, partnering with 21 Non-profit organizations to better understand generosity in the charity space. Representing South Africa in the study, which is already in circulation, is donations based crowdfunding platform, BackaBuddy, a strong contender in social giving. The organization has raised an astounding R65 Million for charities and individuals alike. “We would like to encourage South Africans to join the conversation and lend their voice to the report. The results will allow our charities an opportunity to learn from each other and align themselves with latest market trends to better serve our community” says Groenewald, BackaBuddy Public Relations Officer. The survey is 100% anonymous and only takes 5 minutes to complete, so feel free to join the conversation. 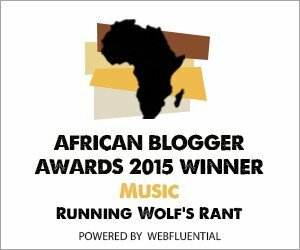 Watch this space for regular updates in the General News category on Running Wolf’s Rant.